The Alzheimer’s Association Houston & Southeast Texas Chapter has been serving the Greater Houston area for over thirty years with the vision for a world without Alzheimer’s disease. From their humble beginnings as a volunteer-driven organization that primarily served Southwest Houston, the chapter have expanded into an organization with 28 staff members and over 500 volunteers who serve 37 counties. The Alzheimer’s Association is working closely with Texas Center for the Missing as we develop the Houston Regional Silver Alert System, a TCM pilot program. As an international association of non-profit organizations, AMECO provides a unified voice on issues related to missing and exploited children and their families, and nurtures credible, ethical, and effective non-profit member organizations. Texas Center for the Missing is a proud AMECO member. The Center for Missing and Abducted Children’s Organizations (CMACO) is a membership organization dedicated to providing support to non-profits who serve families and communities of missing, abducted, and exploited children. The goal of CMACO is to provide a platform for communication and collaboration between these organizations. Texas Center for the Missing is a proud CMACO member. The Children’s Assessment Center provides a safe haven to sexually abused children and their families – a place where they can receive the kind of care and treatment they so richly deserve. The CAC employs an extraordinarily effective multidisciplinary team approach in the prevention, assessment, investigation, referral for prosecution, and treatment of child sexual abuse. The CAC is also one of the largest child abuse advocacy centers of its kind in the nation. Texas Center for the Missing is a proud member of the CAC Partner Council. DePelchin Children’s Center is the leading center in Texas for children’s well-being, with a focus on mental health, foster care, and adoption services. For more than 120 years, DePelchin has been turning lives around with comprehensive care for children, including psychiatric services, counseling, programs for at-risk youths, parent education, residential treatment, foster care, and adoption. Texas Center for the Missing partners with DePelchin Children’s Center to offer community education programs at no cost to attendees. The Greater Houston Community Foundation (GHCF) helps donors create lasting legacies and meaningful impact. Through the vision and generosity of donors, GHCF is one of the largest grant makers in the region. As a Nonprofit Partner Organization, TCM benefits from participating in DonorHouston – an online resource for philanthropists powered by Guidestar – to match donor passions with TCM’s mission. If your family or business utilizes GHCF to fulfill your philanthropic goals, you are invited to invest in TCM’s life-saving programs through this donor network. In 1986, a group of professionals representing various segments of the justice system formed a task force to address the trauma that child victims of physical, sexual, and emotional abuse were suffering as a result of the policies and procedures within the system. Representatives of law enforcement, social service agencies, the District Attorney’s office, the medical community, victim advocate groups, therapists, psychologists, concerned citizens, and business leaders have come together to work to reduce the trauma suffered by children and improve the services delivered to families. The Texas Center for the Missing Associate Director serves on the Board of the Harris County Child Abuse Task Force. Heidi Search Center was established in August, 1990, following the abduction of 11-year-old Heidi Lynn Seeman. Due to the outpouring of volunteers and support, it was determined that a center was needed to advocate for families of missing children and adults, educate communities, and assist in law enforcement sanctioned searches. Heidi Search Center has since assisted families of more than 4,000 missing persons, providing emotional support, referrals, education and targeted assistance during searches. 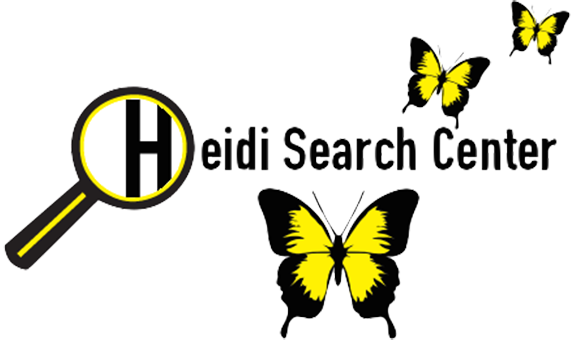 Texas Center for the Missing and Heidi Search Center work together to help searching families find local resources quickly and effectively. Launched in 1998, the Internet Crimes Against Children Task Force Program (ICAC Program), started with only 10 Task Forces across the United States, but today it is a national network of 61 coordinated Task Forces representing more than 3,000 federal, state, and local law enforcement and prosecutorial agencies. These agencies are engaged in reactive and proactive forensic investigation and criminal prosecutions. The Houston Metro ICAC is coordinated by the Houston Police Department. 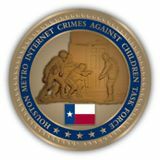 Texas Center for the Missing is a member agency affiliated with the Houston Metro Internet Crimes Against Children Task Force. The Laura Recovery Center exists to prevent abductions and runaways and to recover missing children by fostering a Triangle of Trust among law enforcement, the community, and a missing child’s family. 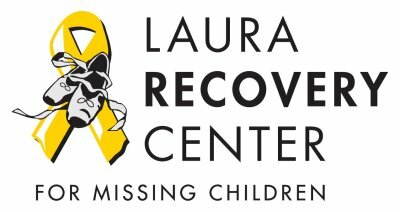 The Laura Recovery Center is a 501(c)3 non profit organization founded in loving memory of Laura Kate Smither, abducted in 1997 from Friendswood, TX, and to honor the thousands of volunteers that searched for her. The Laura Recovery Center staff serve on the Houston Regional Amber Alert System Board administered by Texas Center for the Missing. Established in 1984, the National Center for Missing and Exploited Children® is the leading nonprofit organization in the U.S. working with law enforcement, families, and the professionals who serve them on issues related to missing and sexually exploited children. As part of its Congressional authorization, NCMEC has created a unique public and private partnership to build a coordinated, national response to the problem of missing and sexually exploited children, established a missing children hotline, and serves as the national clearinghouse for information related to these issues. Texas Center for the Missing provides support to families referred to us by NCMEC to offer access to local services and programs in the Greater Houston Area. United Against Human Trafficking (UAHT), formerly known as Houston Rescue and Restore Coalition, is the lead organization for a dedicated coalition of Houston-area non-profits, faith-based organizations, government agencies/entities and others whose mission is to prevent and confront modern-day slavery by educating the public, training professionals, and empowering the community to take action for the purpose of identifying, rescuing, and restoring trafficking victims to freedom. For 40 years, Volunteer Houston has been the city’s sole referral service connecting volunteers to a broad spectrum of diverse nonprofit organizations. Nonprofit organizations all around Houston and its vicinity rely on Volunteer Houston to acquire over 42,000 volunteers per year. Texas Center for the Missing gratefully accepts volunteer connections via the Volunteer Houston program.